Jeanette Getrost has illustrated collections, product packaging and even party guests for fashion and beauty brands. Editor’s note: In this series, Instagram Icon, Entrepreneur speaks with the individuals behind popular Instagram accounts to find out the secrets of their success. Like many millennials, Jeanette Getrost developed her aspirations first through television, then through social media. She was in junior high when the Style Network channel debuted, and tuning in led her to dream of a career in fashion. What her job would be, exactly, she wasn’t sure. 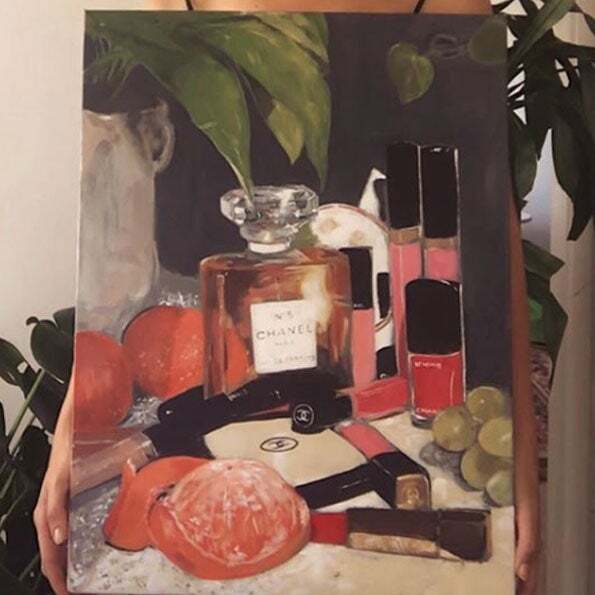 To develop her skills, she took drawing composition classes at a local college, meanwhile learning about and Googling “fashion illustration” to get a sense of potential career avenues. Eventually, Getrost majored in journalism -- a supposedly more practical alternative to getting an art degree. Then, she says, “when I got out of school, I did that thing that I think a lot of creatives do, where you kind of dance around what you actually want to do.” She worked in art galleries doing sales, which she says she “quickly learned isn't very creative at all,” then got a job at a vintage retail store in Los Angeles. The clientele of that vintage store -- actresses, designers, fashion bloggers -- were some of the first Instagram influencers. From the way they used the platform and the audiences that followed them, Getrost saw that Instagram was a way to show the world who you are and what you have to offer. 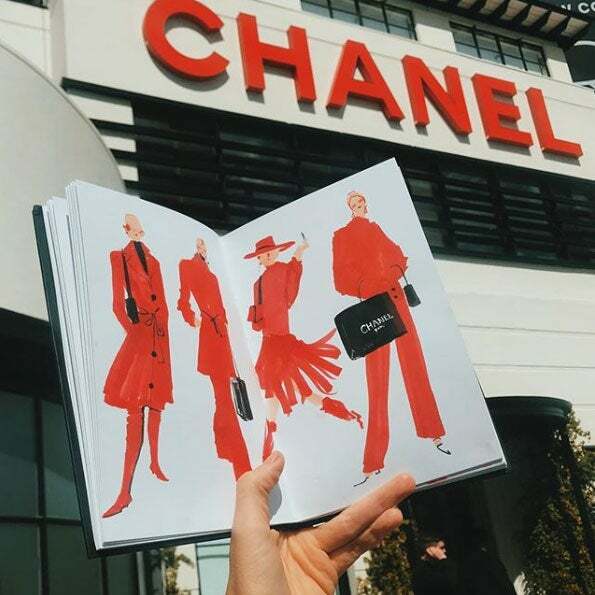 Today, the professional fashion illustrator has more than 107,000 Instagram followers and has been featured in Vogue, as well as partnered with brands such as Chanel, Coach, Tiffany and Co. and more. 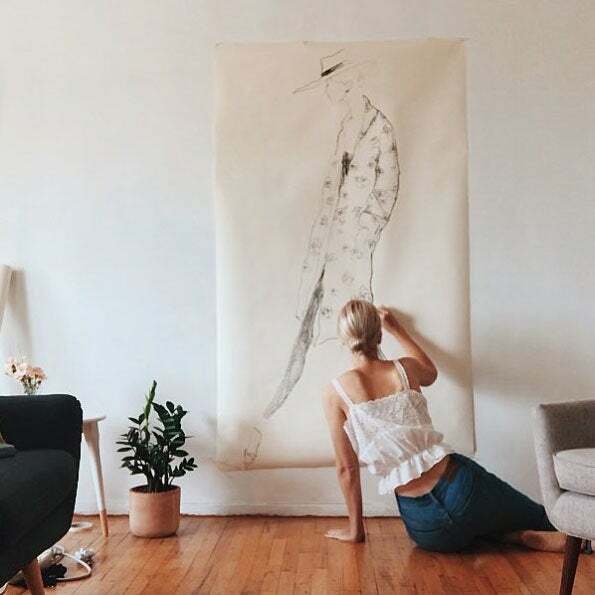 Getrost explains how her job at the vintage store launched her career, how her approach to Instagram has shifted over the past several years and how the platform has shaped her artistic style. I managed our social media account at the vintage store. Actresses, designers and fashion bloggers would come in, take a picture and tag us on Instagram, and I would see that we'd be flooded with new followers. I then saw how you could leverage Instagram as a business and to promote yourself. I was still drawing on the side at the time, just not publicly. I was getting some traction on Tumblr when I decided to post my drawings to Instagram. I wrote in my bio that I was a fashion illustrator, even though I hadn't been hired at that point as an illustrator. Pretty soon after, I started getting inquiries -- just for small gigs, illustrations for someone's website they were launching, things like that. I would dedicate every day to drawing and posting, and I was being strategic and hashtagging all my posts, specifically targeting people I thought would be inclined to repost me. Getting reposted by people with a million followers would usually get me 1,000 or 2,000 followers. I remember a year to the date that I started posting my own work, I had reached 10,000 followers, and then, a year after that, I had reached 80,000. Within about a year of starting to post, I was pretty much freelancing as an illustrator full time. I have been freelance now for four years. My first gig for an actual brand was with JustFab.com, maybe six months after I started posting my work. I was hired to do a live sketch event at one of their parties here in L.A. 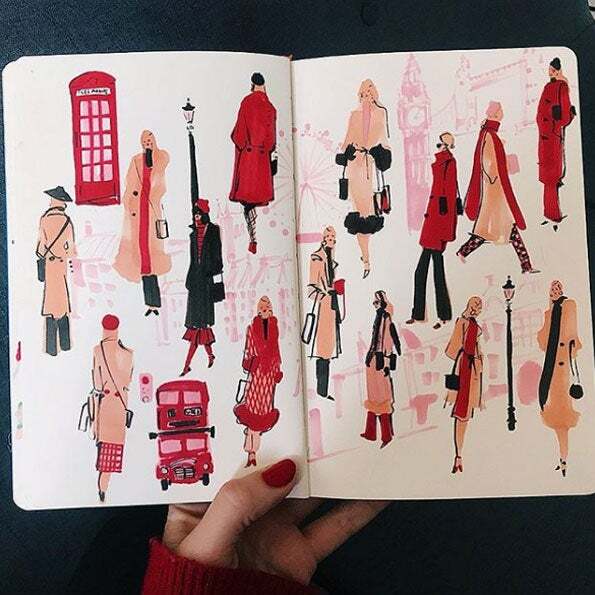 The second year that I was avidly posting, a Vogue article featured me and a couple of other illustrators with the headline, “Why Fashion’s New It Girls Are Holding Pens, Not Purses.” That was definitely my pinch-me moment. The article legitimized me and gave me more opportunities. 2. How much of your time do you spend on a post, and what does that entail? When I was first starting, especially, I made it a point to post every day, at what I found was the ideal time. Now, I only like to share things that I think represent me and my taste. I wait until I’ve created pieces that I like, on my time and when the moment feels right. Sometimes, if I haven't been creative for a few days or I feel like the magic isn't happening, I'll post something that I did a few weeks ago that I hadn't shared yet. If I haven't posted for a while, I will feel a little like I'm out of the loop. I try to share my creative process with people. If the lighting in my studio looks really nice, I can just set up an existing painting and show the setting of what the studio is like. If I'm lying on the couch sketching, I might think, This is a nice moment, I'll capture this. I love natural lighting and that magic hour of the sun setting. There's a post I did recently where I was sketching in rose gardens. I knew the time the day I was going, and I was going just to feel inspired and to have a private moment of sketching, but I definitely, in the back of my mind was like, Oh, this would probably be good content to create as well. 3. What is your content strategy, and how do you decide what and when to post? I'm slowing down a little bit and using Instagram the way I used it when it first came out, where it feels more personal to me. I want to be seen as an artist first, doing things that feel a little bit more true to my taste instead of something feeling like an ad or a product post. Having a place to post my work every day for the past number of years and getting direct feedback from an audience in some ways has helped shape my artistic style. Sometimes I'll post something, and I'll be super proud of it, and it doesn't perform very well. And then other times, I'll post a drawing that I'm like, I don't know about this, and people end up really liking it. Especially for an aspiring artist, Instagram is like a public forum. You get to have a critique every day of your work. 4. How do you leverage your Instagram account, and to what extent do you monetize it? If I had to guess, I’d say 85 percent of the inquiries I get probably come from people seeing my Instagram. I’ve worked with Coach a number of times, including a live sketch event with them in New York on the High Line. The brand Tadashi was my first Fashion Week gig. I visited their showroom and illustrated some behind-the-scenes moments, then went backstage day-of-show and documented for Instagram. After the show, I did some illustrations of their looks. 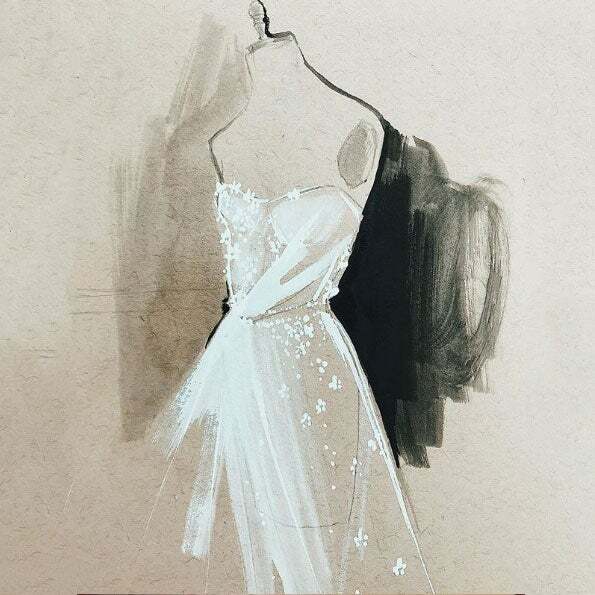 A couple of years ago I partnered with Project Runway, and they would send me their episodes a week prior to airing and I would sketch the winning looks. For their Instagram, they would post an illustration, and I would post it on mine. What I'm most interested in and focused on now is having a concrete body of work that lives out in the world. I don't particularly want to just be seen as a sketch artist. I have done some packaging, and there's nothing better than walking into a store and seeing your work. I did some packaging for skincare brand Kate Somerville’s holiday box for Sephora. I also sell prints and do flash sales. I'm transitioning into more painting now, doing some private commissions. I don't have the ability to use the Shoppable feature yet, but obviously the swipe up links to my shop through Stories are useful. 5. What advice do you have for other people who want to build brands on the platform? As soon as I wrote in my bio that I was a fashion illustrator, I was then taken seriously as an illustrator. It's important to set your intentions. Don't worry too much. It's going to take several years or months or however long, especially if you're starting out as an artist, to really develop your own sense of style. It's just something that you have to be patient with. I believe in working at your craft every day, if possible. It's the only real way to improve. Pay attention to what is working. If people are responding really well to a certain kind of post, then maybe you just focus on doing that for a while. Or if you notice that posting at a certain time is working well. It takes time, in the beginning, especially, if you're getting used to it -- you just spend so much time on it. You have to just dedicate many, many hours to being plugged in, which can feel maybe a little soul-sucking or something, but it's just really about finding out what your strengths are. 6. What's a misconception many people have about Instagram? You're probably only seeing 10 percent of what I'm creating. I have some days where I will sit and sketch for hours, and just, nothing is happening. People probably are like, "Oh, that's so fun, you get to draw for a living," and the reality is, it is a job. Some days I feel creative, and some days I don't. It is a business, also. I'll be presented with job offers that end up falling through. Also, just because someone has a large number of followers, it doesn't mean that somebody is working consistently. There are peak times in the industry, and so, during downtimes, I still am trying to keep busy and look busy and wait for the next job to come through. It's a lot of smoke and mirrors, as people like to say. See below for Getrost’s picks of her five favorite posts.